If you’ve stepped outside in the last 5 minutes, then you know that summer temps are already rising. 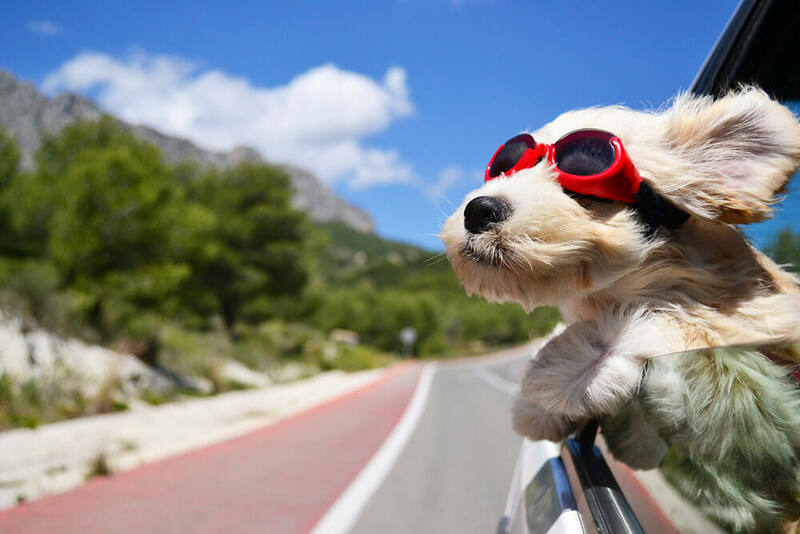 Here are some tips to make sure the whole family—especially the furry, tail-wagging members—will stay cool and have fun all summer long. Water. The key to a safe summer for all of us is water, and lots of it. Remember to give your pet constant access to cool, clean drinking water. If you’re on the go, pack some for the pup as well. And, hey, playing in the water works too! Know the signs. When dogs overheat, they begin to pant excessively. Did you know that animals with flat faces, such as pugs, tend to overheat even quicker? As much as possible, spend time in cool (preferably air conditioned) places. For a complete list of hot weather safety tips, visit this ASPCA website. Just trim. We all love a good summer haircut. When it comes to your dog, remember to trim the hair rather than shave it off completely. Fur protects your pup’s skin from the heat and damage of the sun. It’s OK to be shady. Pets do not cool off as quickly, or in the same ways, as humans do. As much as possible, stay in the shade when you are out and about. Do not linger in hot areas, such as asphalt parking lots, or in enclosed areas without air conditioning, such as cars. We all scream for ice cream. It is important for pets—like us—to stay cool inside and out. Did you know that you can make popsicles for your dog? The Humane Society provides safe and easy recipes. We hope these tips help you enjoy the warming weather with your furry friends. With plenty of opportunities to slow down and cool off, all of us will have more staying power! Here’s to keeping cool. Pradera residents can enjoy all the perks of summer in their own backyard. Visit the community center’s competition-size pool, spray play area, and luxurious sun deck. After a day of golf, biking the trails, or playing soccer, a little relaxation will be just the thing.